ASTANA -- Kazakhstan is looking to international specialists and examples of successful rehabilitation efforts to better understand how to deal with convicted violent extremists, including those who have returned from Syria. 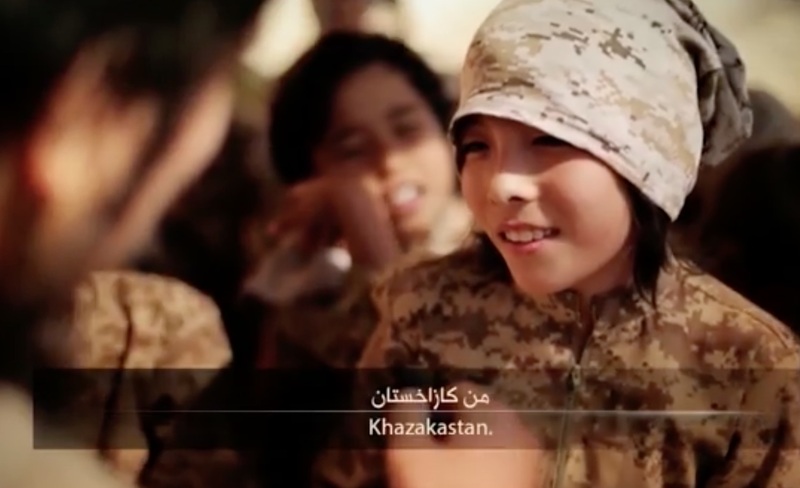 Since the beginning of 2011, about 500 Kazakhs, including the wives and children of militants, have gone to Syria to fight alongside "Islamic State" (IS), according to Deputy Foreign Minister Yerzhan Ashikbayev. In the past two years, the outflow has practically stopped. After the military defeat of IS in the fall of 2017, many of them began to return to their homeland. The Organisation for Security and Co-operation in Europe (OSCE) Programme Office in Astana held a workshop December 4-5 on working with those convicted of violent extremism, including terrorist militants and their families who have returned from abroad. Twenty officials from various government agencies, including the National Security Committee, Interior Ministry, Academy of Law Enforcement Agencies under the General Prosecutor's Office, Ministry of Social Development and civil society members attended the event. As part of the workshop, British analysts shared effective methods of rehabilitating returning terrorist militants and their families. "Special attention was paid to ways of working with civil society and programmes to engage the wives and children of returning terrorist fighters," the OSCE said in a news release December 12. Kazakh authorities have taken a fundamentally firm stance against militants and those who exhibit extremist ideologies. 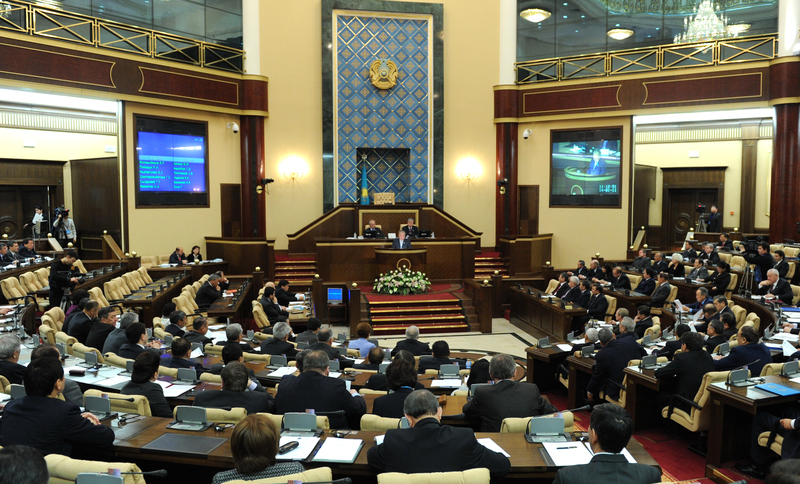 In July 2017, President Nursultan Nazarbayev signed a law to strip the citizenship of Kazakhs convicted of forming or joining terrorist groups. The government is using traditional methods and being as strict as possible with citizens returning from Syria, said Andrei Grishin of Almaty, a specialist with the Kazakhstan International Bureau for Human Rights and Rule of Law. 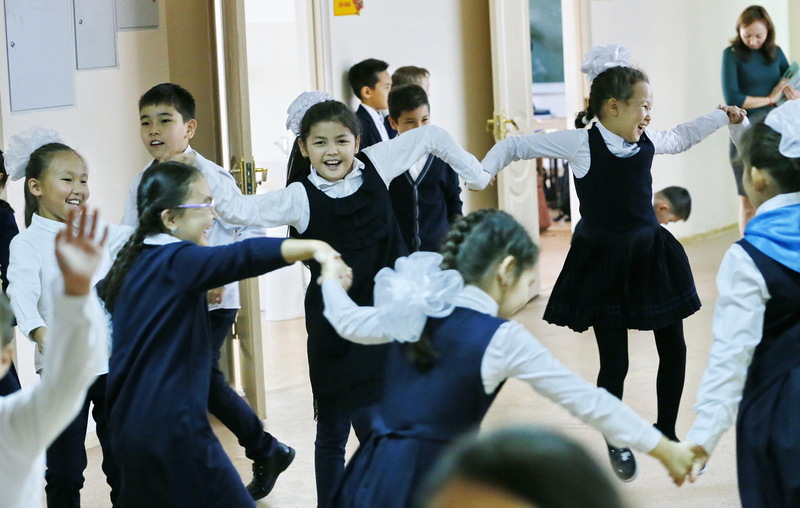 The wives and children of such citizens are under surveillance by the authorities, and specialists are working to rehabilitate them and prepare them to readapt to Kazakh society, he told Caravanserai. One area of particular concern is the emergence of strict or radical interpretations of Islam. Salafists, who claim to be observers of "pure" Islam, represent the largest non-traditional Islamic group in Kazakhstan with about 19,000 followers, according to unofficial data cited by Zakon.kz in 2017. Some strict adherents of Salafism espouse violent "jihad" against peoples and governments they deem to be enemies of Islam. In one example, a self-described Salafist named Askar from Jezkazgan, Karaganda Province, travelled to Syria to fight alongside IS, Radio Free Europe/Radio Liberty (RFE/RL) reported December 5. His father, Mukhambetkali, visited him twice and tried to persuade him to return to his homeland but to no avail. Askar was subsequently killed, and his children remained in Syria. Their whereabouts are unknown, according to the report, which added that Askar was not the only Salafist from Jezkazgan who went to Syria to fight for IS. Although such examples highlight the dangers of extremism, other Salafists say they are trying to live peaceful, traditional lives. One such man from Aktau, who has lived and worked in Almaty for many years, told Caravanserai on condition of anonymity that he is a peaceful Salafist. "Our philosophy is not to conflict with the government," he said. "We live our lives and don't touch anyone." Not all men who exhibit certain religious choices, such as wearing a long beard and short pants, are extremist followers of Salafism, according to a recent report by the Astana-based NGO Counter-Terrorism Committee (CTC) of Kazakhstan. "It turned out that 80% of them are simply people with superficial knowledge who've gone astray," CTC Chairman Amanjol Urazbayev told Caravanserai, adding that this group is amenable to returning to traditional Islam through lectures and conversations with imams. "They will gladly accept new knowledge about traditional religion," he said. "The rest are those who have consciously sought to expand their knowledge about the ideology of alternative movements and who have listened to lectures by famous leaders," he said. Quite a few women, including wives of militants, are prone to the persuasions of radical movements, according to Urazbayev. "Rehabilitation work is under way with them too, though this is a difficult process -- it's impossible to return them to traditional Islam in one or two meetings," he said. "At the same time, it is easier to work with women," he said, alluding to the different experiences that women and men had in living under IS. "They saw all the negative things happening in Syria, where they went in search of a beautiful fairy tale." Amendments to existing religious law aim to expand the ability of authorities against individuals or groups spreading extremist or radical views. A government working group will work with the relatives of those who have left Kazakhstan for Syria and Iraq to bring them home. It is essential to quickly rehabilitate, educate and reintegrate into society children returning from conflict zones, analysts say.